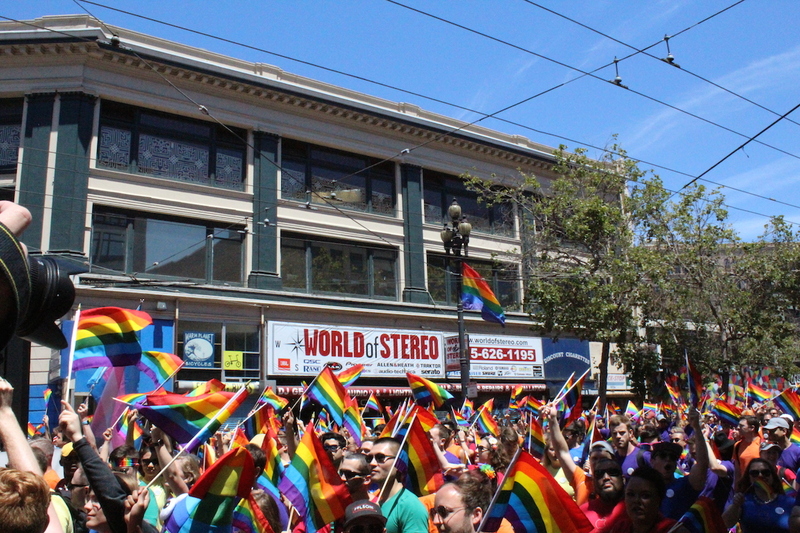 CCA recently enjoyed a long weekend in the Bay Area to celebrate San Francisco Pride. After cannabis events on Thursday and Friday, we were excited to engage with an outside community over the weekend. Our Airbnb in the Outer Mission gave us a nice view of the city skyline (from “Jersey” we called it) and some perspective on the city. From Los Angeles, San Francisco can seem like one small place (with only 20% of the population), but the culture truly encompasses the entire Bay Area, which is nearly equal in size to Los Angeles County. They are ahead in some ways and behind in others, but we will all succeed together or fail together. 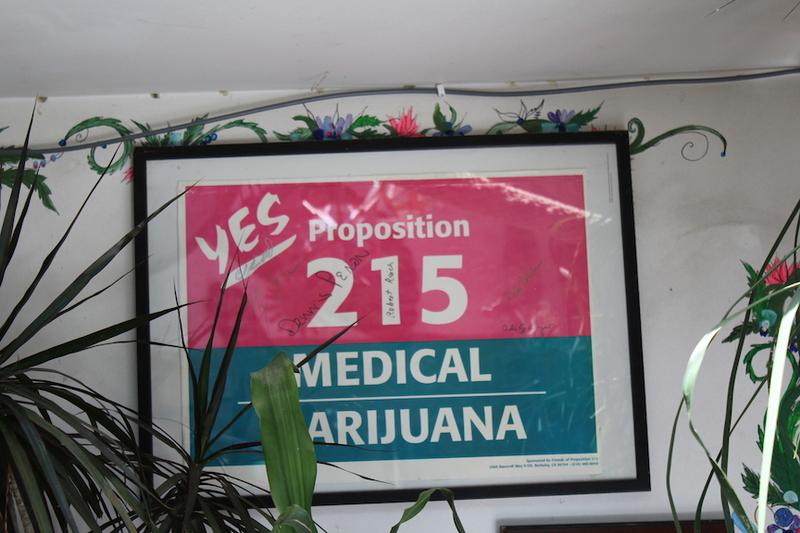 On Saturday, we visited Dennis Peron at his longtime home in the Castro District. Though he now spends much of his time in northern California, he was in town for Pride weekend. It was wonderful to spend some time with him and hear about the heady days of Harvey Milk, Prop W and then Prop 215. 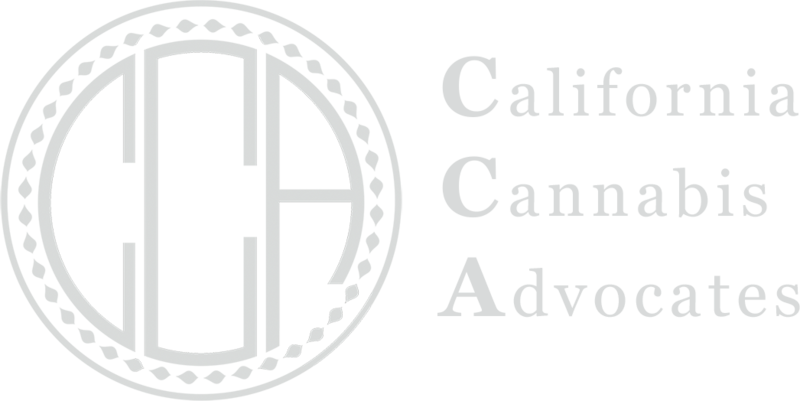 He told of us being arrested 27 times, of all the men who had died of AIDS at the very address where we sat, of how this prompted him to take a public stand for compassionate access to cannabis. 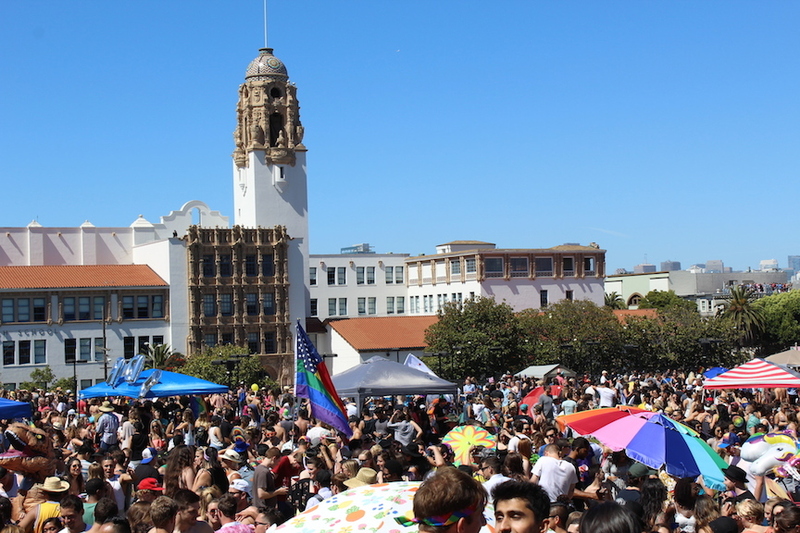 Afterwards, we spent some time in Dolores Park—it was full of people just hanging out partying. Incredibly crowded but just a small police presence watching from the sides. It was about as hot as it ever gets in San Francisco so we had a great response for handing out fans and taking photos for My Health Freedom. Afterwards we headed over the Haight where we helped Mama Sailene pick out a new oil rig at Puff Puff Pass. The parade on Sunday was incredibly moving, especially for the community aspect of participation, all manner of local non-profits providing services and support, as well as companies like Apple with 1,000+ marchers in their contingent. The route was packed multiple people deep along the whole 2 mile stretch of street. Afterwards, Felicia and Sailene headed to the VIP reception at City Hall. It was a great opportunity to get away from the southern California bubble for a few days, to experience the even denser bubble of the Bay Area. But bubble or not, they are making progress, both social and economic, that is lacking in LA.